Perhaps, like many others in the world, you began to have doubts and fears as your constant thoughts. You may have given up hope for a brighter future and an easier daily life. You may feel a darkness or shadow when you are associating with negative people and events. Your thoughts and your body feel heavy, sluggish and slow to make decisions. Optimism can be learned, just as any life-skill. Make a habit of being happy and choose to overcome fear. Check how you are feeling physically? Do you feel down or up? Heavy or light? Clear or confused? Now ask yourself to come up with one piece of evidence to show that the thought is not true. It may have been true in one instance, but it is not true forever. Fight off the pessimistic view by coming up with a thought that will frame the immediate situation in a more optimistic way. Look at the situation and see what the lesson is in the experience. Adverse Situation – Your boss makes a rude remark about your report. Negative self-talk – She hates me. I am going to get fired. This is just the tip of the iceberg; she has probably been talking about me behind my back. Stop and challenge the thought – She must be having a bad day. I am usually right on with my reports. I will double check my facts next time. I am a good employee who is well liked and respected. This really does work and like all life skills it takes practice. You will feel lighter in your body and in your thought process. Negative pushes down, positive pulls up. I have personally witnessed pessimistic and depressed kids completely turn around their thinking. If a parent or loved one is willing to help you see that negative self-talk is self-defeating and not accurate, it will be like switching on the overhead light. It doesn’t matter how long or why a room or life has been dark as soon as you turn on the light, it gets lighter. Just as electricity will power the light bulb, your courage and faith will empower you to challenge negative situations and thoughts. By overcoming doubt and allowing rewarding things to come to you, you will receive light and rewarding experiences beyond your greatest dreams. Faith and bravery make love a possibility, and love of yourself and others makes miracles happen. Don’t give in to despair. You are much stronger and smarter than you think you are. You can learn optimism and share this technique with others. I have confidence in you and your ability to find solutions to the ups and downs of life and to model resilient behavior for those you care about. Do you feel heavier, slower and less decisive when you are surrounded by negativity? Do you feel lighter, smarter and more in control when you are thinking of positive solutions? Will you practice learned optimism the next time you have negative mind chatter? 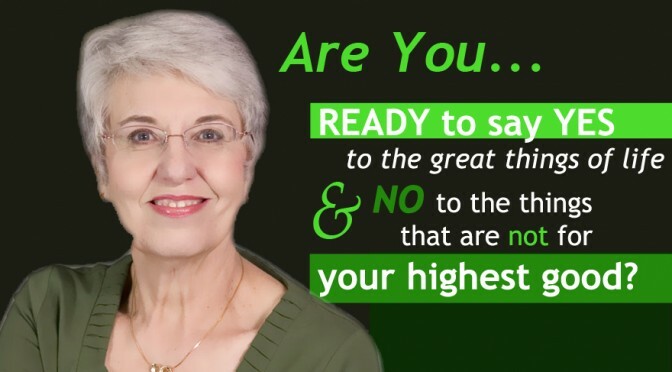 You are invited to enjoy even more articles, podcasts, videos and books waiting for you at http://www.ArtichokePress.com This is the home site for Judy Helm Wright, author and empowerment coach. You will be glad you did.